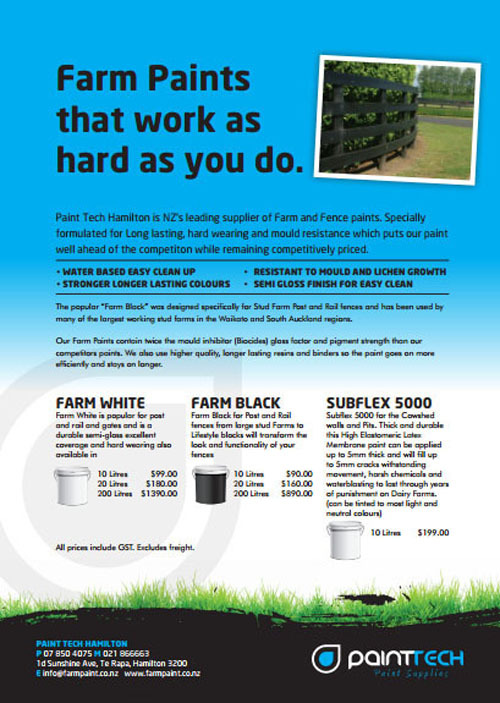 FARM BLACK and WHITE paint is 100% NZ made for New Zealand cow sheds, horse studs, fencing and all NZ weather conditions. 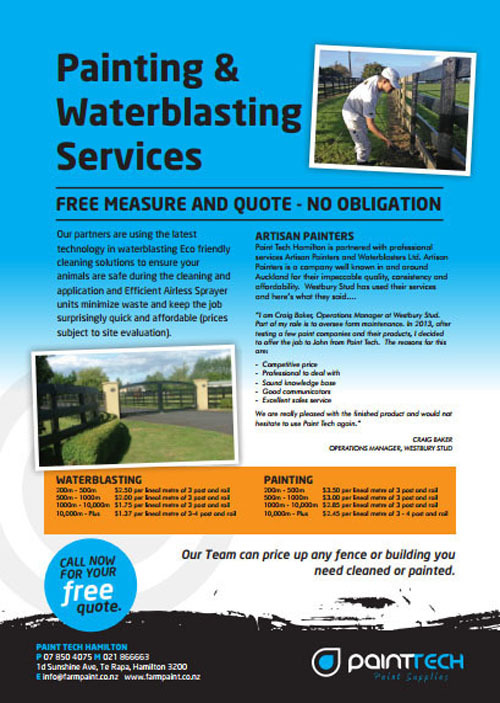 Black paint / stain has been especially formulated with up to 50% MORE BLACK PIGMENT which means you get sharper looking post and rail farm fences for longer. 20 Litres of paint will cover both sides of a 50 metre 3 rail fence. We've also upped the GLOSS FACTOR, plus added a FULL STRENGTH ANTI-MOULD additive to reduce MOULD and LICHEN. UV inhibitors are standard in all our paint and therefore protects the life and colour of your farm fences and cow sheds for longer. We're also in the process of developing a better ANTI-CHEW paint for localised areas such as Stable Gates and surrounding fencing. Watch this space! 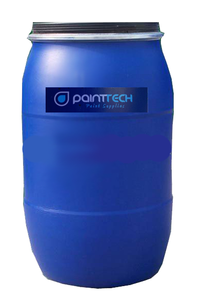 Paint Techs Premium All Prime is a unique PRIMER/SEALER/UNDERCOAT based on a hybrid acrylic emulsion. 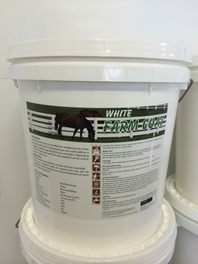 This emulsion has outstanding adhesion to a wide variety of substrates including Wood, Concrete, Steel, Aluminium, aged Enamel Paints and Varnishes as well as most plastics. . Colour: White, may be tinted. Theoretical Coverage: :6-7m2. May be left for up to 12 months on exterior finishes before applying finish coats. Novepoxy is the New Water Based 2 pack epoxy with a super durable gloss finish. 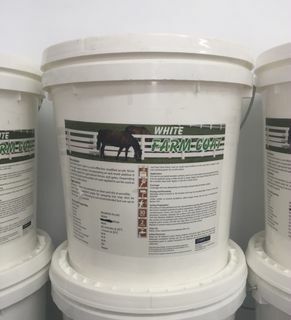 Available in 4 litres Uses: Ideal coating for Garage and warehouse floors, Food processing plants, Dairy units and cowsheds etc, Meat works, schools, surface that require regular steam or high pressure cleaning. 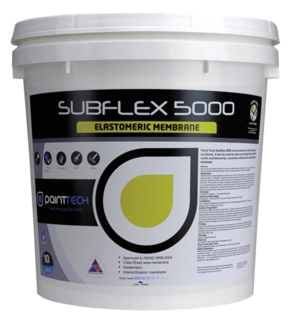 Performance and Limitations: Ideal for application without primer to sound concrete, masonry and timber substrates; requires an appropriate primer over metals, tolerant to damp surfaces, but not saturated substrates. 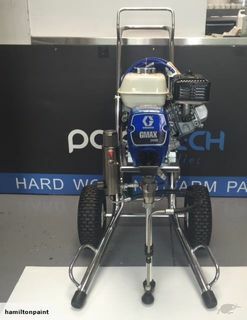 Paint Techs Premium All Prime is a unique PRIMER/SEALER/UNDERCOAT based on a hybrid acrylic emulsion. This emulsion has outstanding adhesion to a wide variety of substrates including Wood, Concrete, Steel, Aluminium, aged Enamel Paints and Varnishes as well as most plastics. Colour: White, may be tinted. Theoretical Coverage: :6-7m2. May be left for up to 12 months on exterior finishes before applying finish coats. designed for our high U.V. environment. Our coating systems are designed and manufactured in New Zealand using over 40 years of technical experience.